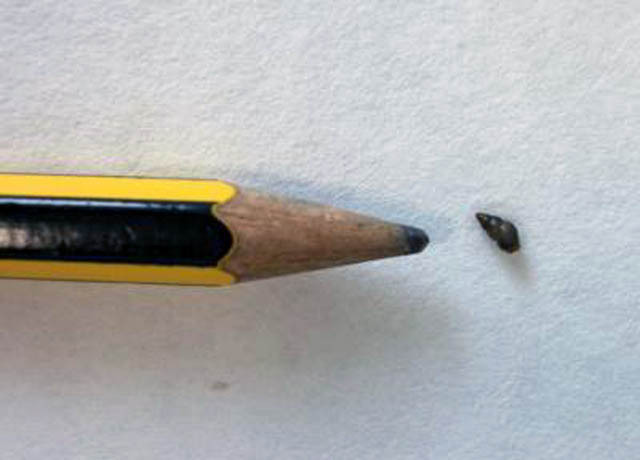 (LiveScience) The New Zealand mudsnail is tiny, about the size of a pencil point, but it is colonizing the planet. The snail has spread far from its home, throughout rivers, lakes and streams in Europe, Australia, Asia and America. In the United States, where it has no natural predators or parasites, it outcompetes native snails and insects for food and is considered an invasive species. What makes this mudsnail, Potamopyrgus antipodarum, such a good invader? The answer lies partly in the species' ability to reproduce quickly and amass in high densities. (Females can produce offspring -- up to 230 per year -- without males.) Now, research has found the New Zealand mudsnail can also survive without water for up to two days, meaning it could latch on to birds, fishing tools or land animals to hitch a ride to a new home. With this information, the scientists recommended some tactics to prevent the spread of mudsnails. First, they wrote that fishing tools and other instruments should be given a drying treatment (namely, exposing them to air for at least 50 hours) if they are going to be used in different aquatic ecosystems repeatedly. Second, the researchers recommend using physical barriers or other mechanisms (such as scarecrows for waterfowl) to keep wild and domestic animals from accessing infected waters.